Video of UNIQUE PHOTOGRAPHY in an ICONIC location | is it possible? Winter can produce some of the most awe-inspiring landscapes of the year, bringing with it snow, ice, and more than a few challenges peculiar to winter landscapes. 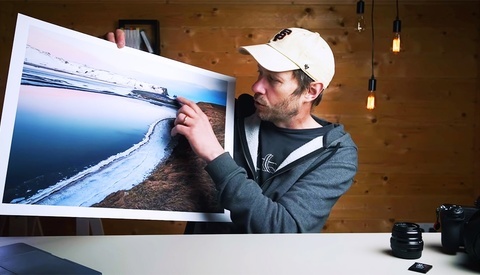 Iceland is no exception, and in his latest vlog, Nigel Danson shares tips for getting the most out of the white stuff. In some ways, winter landscapes feel like a completely different genre, and it’s easy to be mesmerized by the snow and fail to recognize compositional flaws. When I visited Iceland in November, there was no snow on the ground. Most of the compositions I scouted out would be ineffective under a foot of snow, but many of the busier scenes I gave up on would be striking. I picked out this composition of Mam Tor over a year ago, but without snow the color palette didn’t provide enough contrast with the road. The abandoned cars at the bottom help provide scale for the rest of the scene. As Danson mentions, you need to be doubly careful of the exposure to ensure you aren’t clipping the whites which make up most of the image, but also aren’t crushing shadow details in anything other than snow. He also makes a solid case for the use of scale in snowy images. 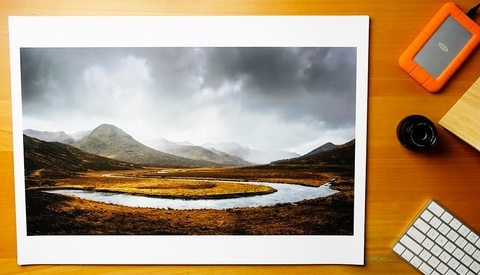 After all, snow tends to cover up typical foreground choices and textures that help lend visual scale to an image, so it’s important to include a subject in the frame for reference — perhaps other photographers who have planted themselves in your shot! Have you made it out to Iceland for winter? It’s not a great time for solo touring, but if you can pair up with another landscape photographer, Iceland in winter is easily the photography trip of a lifetime. 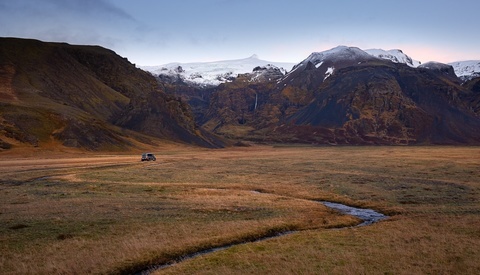 Should Winter Photographers Explore Iceland by Campervan? Sure thing Nigel! I had no idea you lived near the Peak District, did you get a chance to snap some shots with the snow a month ago?